When you file a lawsuit in Maryland, you will eventually need a nonmilitary affidavit. Different states have different rules and regulations regarding this requirement. That’s why it’s important to understand the local mandates of Maryland nonmilitary affidavits. 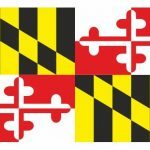 The intricacies of Maryland SCRA state law can intimidate many would-be plaintiffs, and thus they turn to a service to obtain the documents they need. Individuals or businesses planning to file suit against debtors must be sure that the potential defendant is not on active duty in the military, or in some instances, was not active when the debt was incurred or the contract was signed. This federal law is known as the Servicemembers Civil Relief Act, or SCRA. This act protects servicemembers from having to respond to litigation when they are deployed so that they can perform their valuable function without worrying about issues in their personal lives. When a defendant does not appear for a court date in Maryland, or if someone is served and does not participate in a lawsuit, in order to move forward, the plaintiff must obtain a military status affidavit. In fact, if someone tries to obtain a judgment against a servicemember, the person can face fines and other penalties. The SCRA impels courts to demand proof that the plaintiff checked the defendant’s military status. Some plaintiffs fail to provide proof the defendant is not in the military. In these cases, the courts will often stop the case until they get an affidavit. The court also may take action to protect the defendant. Even in the absence of a requirement, an affidavit is a helpful document to have on hand. It proves the plaintiff did his due diligence. Once Maryland courts have a military affidavit proving the defendant is not on active duty, your case can move ahead. If, instead, you discover that he or she is on active duty, you may still go forward with your case. But in these instances, you must get a court order first. Starting the foreclosure process without a military affidavit violates the SCRA. Particularly in Maryland, even if the servicemember obtained the mortgage before deployment, mortgage holders need a court order to foreclose. You cannot start the process until at least 90 days after the end of the service member’s deployment unless you have a court order. Eschewing active-duty status verification can mean trouble for banks, car dealerships, lenders and anyone doing business with military personnel. Procuring a military affidavit can be time-consuming and confusing. But a service can get you the documents you need, usually within 24 hours. The Servicemembers Civil Relief Act Centralized Verification Service uses the Defense Department’s Defense Manpower Data Center to determine defendants’ active-duty status. We then deliver a Maryland military affidavit to you. This is a great help to debt collectors, lenders and others who have no time for all the paperwork associated with litigation. Lawsuits in Maryland advance much more quickly with the proper documentation. If you are filing suit in Maryland, trust SCRACVS to provide you with the necessary military affidavits.